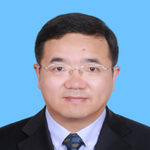 Mr. Chen is the deputy managing editor of the Global Times English Edition. Before taking his current position, he served as a communications and media operations expert with the Beijing Olympic Games organizing committee from 2003 to 2008, and worked as a reporter and later a senior editor with China Daily newspaper from 1992 to 2002. He holds an M.A. in international relations from the Korea Development Institute’s School of Public Policy and Management. He was a winner of the prestigious China International News Awards in 2000. His academic interests include China’s peripheral security, China’s relations with the two Koreas, inter-Korean relations and reunification of the Korean Peninsula, as well as peace mechanisms in Northeast Asia.